If you have always been fascinated by the stars and a magical night sky, we have good news: it seems that we have found the dress of your dreams. 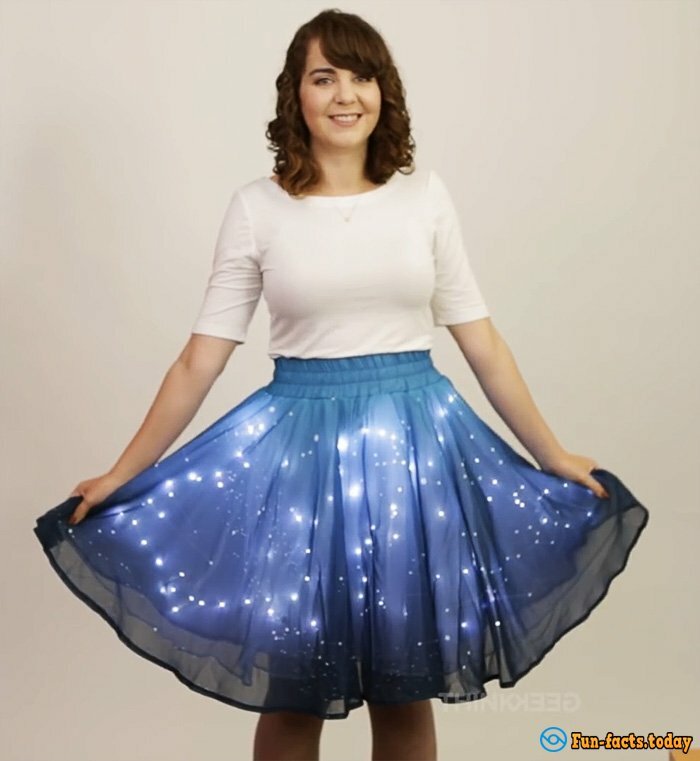 This incredible luminous skirt is not a joke and not a special effect. In it actually, is more than 250 LED lights whose flickering creates a magical effect or would be correct to say astronomical? Most interesting is that the stars of a miracle-skirt are not chaotic, as it might seem at first glance. It shows a real star map, and its owner is at the center of the solar system.